Posted on December 23, 2016 by Matthew Leib. This entry was posted in Faculty Friday, Spotlight and tagged Faculty Friday. Bookmark the permalink. How do you measure a microaggression? That’s just one of the questions at the heart of Jonathan Kanter’s research at the University of Washington’s Center for the Science of Social Connection. Kanter, a research associate professor of psychology who has served as the Center’s director since 2013, believes the answer may prove essential to better understanding and addressing racism and prejudice on college campuses and in other settings. “Microaggressions are something we don’t think we do,” Kanter says of the term, originally coined in the 1970s by Harvard professor of psychiatry Chester Middlebrook Price to describe dismissive or denigrating messages directed—deliberately or unconsciously—at members of minority groups. The term recently reemerged as a touchstone in contemporary conversations on race, gender, and equality nationwide, even while some groups were swift to dismiss the concept as an over-reactive manifestation of political correctness. But the psychological science behind these hard-to-measure slights says otherwise. Kanter contends that micro-invalidations compound overtime, resulting in a steady erosion of identity and self-esteem. A lifetime on the receiving end of microaggressions is just one of several factors that contribute to depression and other health problems in minority groups. It’s something Kanter witnessed first-hand doing professional work within minority communities and populations in Milwaukee as faculty at the University of Wisconsin. He realized that for far too long minorities and other groups had been left out of the psychological equation—not just through research, but on a clinical level where prevailing prejudices often found their way into the client-therapist relationship to damaging effect. “The quality of relationship is right at the heart of good therapy,” Kanter says, explaining that it’s important to realize that the therapist brings him or herself into the relationship with the client. One of Kanter’s stated goals as director of the Center for the Science of Social Connection is to develop ways of understanding, approaching, and improving that client-therapist exchange that are just as scientific as the approach to developing therapists’ more conventionally-considered skills and techniques. “It’s about helping the therapist be more aware of what the values of the client sitting across from you are—talking about it and being open to it and not making assumptions,” he says. Kanter’s work in Milwaukee with Latino and African-American populations eventually extended to conducting trainings in London and Indonesia with therapists working with depressed Muslims. “Once I started learning just how clear the disparities were and the extent to which mainstream psychological research has been part of the problem by not including minorities in samples, by not tailoring research to minority communities, and by not considering minority perspectives in how we talk about this stuff, it just was something I felt I needed to be a part of,” he says. Kanter found his way to psychology by way of an early exit through the backdoor of an architecture career in Manhattan. That interest eventually drew Kanter away from architecture and toward psychology. 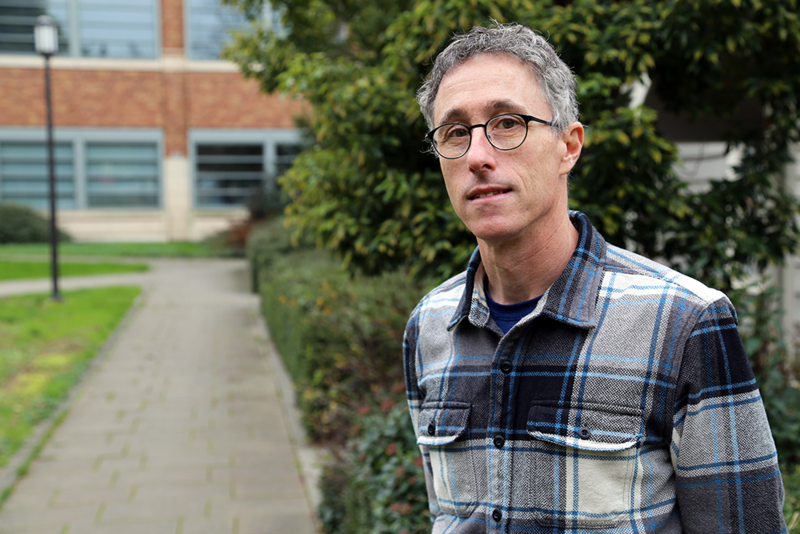 He obtained his masters degree from Humboldt State University before coming to the UW to pursue a doctorate in clinical psychology, which he received in 2002. He cites UW professors Marsha Linehan, Ann Streissguth, and Robert Kohlenberg as major influences on his approach and development. He still works alongside Kohlenberg, who serves as the Center’s associate director and whom Kanter credits as having first introduced him to the idea of coupling behavioral therapy with the psychotherapy relationship. The idea of a behavioral science approach to social connection, intimacy, and relationships lies at the heart of the Center for the Science of Social Connection, which, in turn, finds itself doing work related to the university-wide Race and Equity Initiative begun in Spring 2015. Kanter doesn’t claim to have all the answers—most of the research at the Center is still in the data collection phase—but he and his team are working on a few. “We’re developing these workshop interventions to see if we can bring people together, interact, and do so in a way that decreases microaggressions and increases real closeness and trust,” he says. His work at the UW is not limited to student-populated workshops. Kanter also serves on the Race and Equity Initiative’s workshop subcommittee. He says his work on the subcommittee is a large part of his sense of greater connectedness at the UW. It’s that knowledge of what’s possible when you cultivate diverse connections over time—underpinned by sound scientific methodology—that helps Kanter find hope on a human scale. Don’t call it faith in humanity. Rather, it’s a faith in the science of human behavior. Kanter hopes that as two groups or individuals talk together about fears, vulnerabilities, and what each wants most out of life, it starts triggering those innate connections and commonalities, beginning the process of overcoming stereotypes and banishing implicit bias. In other words, we’re all we’ve got. From the perspective of a behavioral scientist, it’s a lot to go on. Jonathan Kanter has a B.A. in Architecture from UC Berkeley, an M.A. in Academic Research in Psychology from Humboldt State University, and a Ph.D. in Clinical Psychology – Adult Track from the University of Washington.